I was trying to keep the design simple and I really wanted to use some of the banner stamps I've been accumulating! 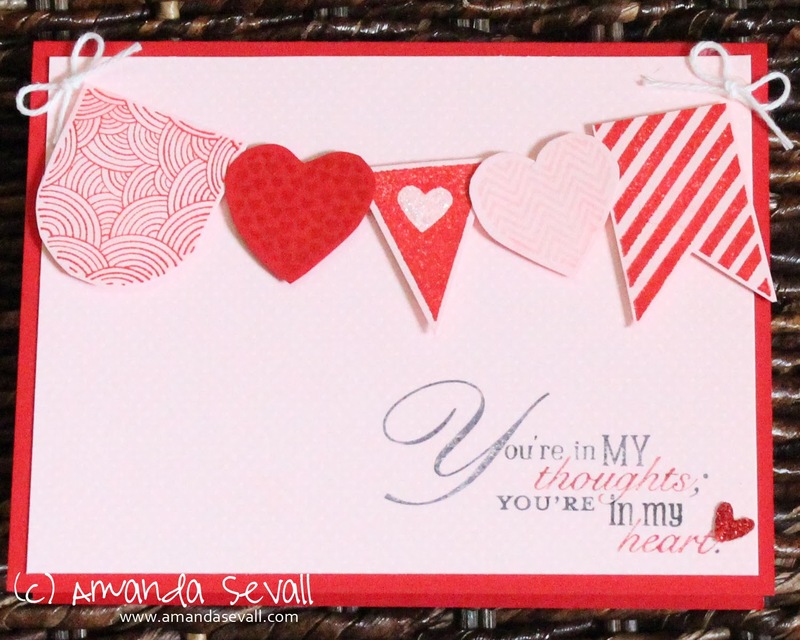 I added some Dazzling Details to the heart in the center pennant on this banner for a little sparkle. Do you ever make stuff that you're not crazy about? Yes, I make stuff I'm not crazy about all the time. I'd be surprised if there were anyone who didn't.